Did you ever read that book? House of Leaves is this epic, labyrinthine tome with intertwining stories about a house that is bigger on the inside than it is on the outside. Think Escher staircases and doors that appear out of nowhere. Well, that’s how our yard feels right now. We only have the one-fifth acre, but we keep planting and stuff just keeps growing. In about a month this place is going to be covered in trailing vines escaping the confines of the raised beds, volunteer sunflowers that sprout in far-flung corners, and vegetables getting too big for their britches. Let’s start at the beginning with these guys. They are much more plentiful this year. Yay pollinators! 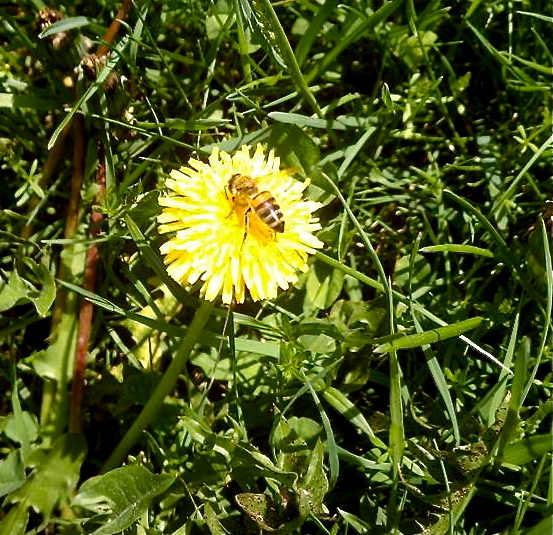 With the plight of bees and migrating butterflies foremost in growers’ minds, it is a welcome sight in the middle of spring to see them darting from dandelion to dandelion. I am not a big aesthetic grower. I tend to plant for function, but my mother has a wonderful eye for landscaping and flowers, so I kind of let her have her way with the flower beds this year, focusing on attracting pollinators. We planted lemon sunflowers and nasturtiums (which are also edible! ), in addition to our returning perennials like cone flower and orange and yellow daisies. 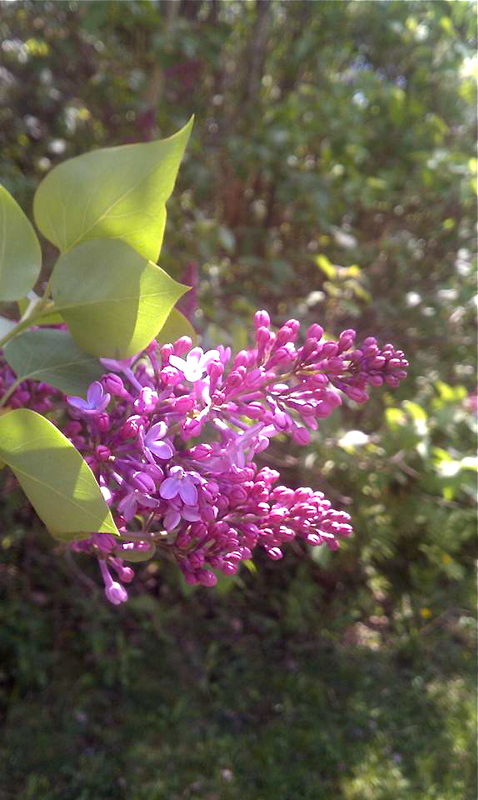 Also, it’s just about peak bloom for lilacs, my favorite flower in the world. I missed these like I missed the ocean in Texas. Mountain Laurel was a lovely second scent, but nothing compares to the rich purple and elegant white blossoms that sweeten the air in late spring. So now on to veg. We planted early this year, the first weekend in May, and the weekend of the last frost, according to the Farmers’ Almanac. Yeah, sorry farmers. We got a frost last weekend, too. Good thing I covered my beds! With uncharacteristic forethought I ordered these cool hoops and reemay cloth as row covers this year. Since I planted so many things from direct seed I wanted to protect them from heavy rain while also keeping out frost and retaining moisture. The reemay seems to have accomplished all of these things. 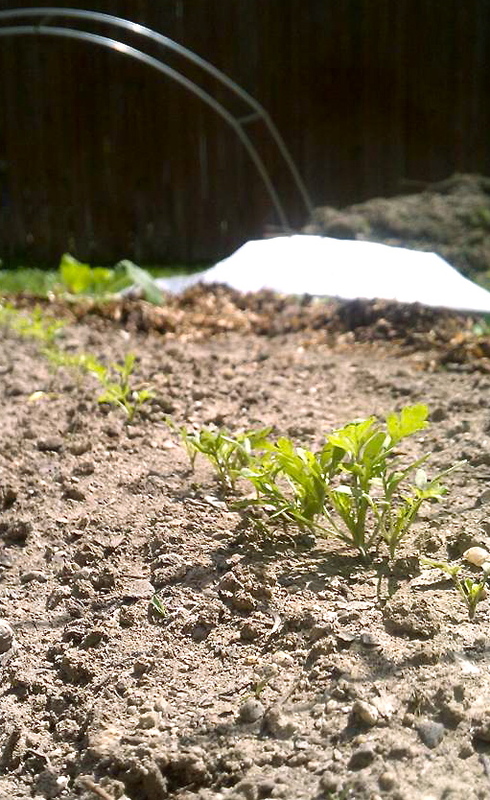 This is Cressida, which is a leafy salad green and the first to germinate this year. We water the beds at night and cover them, then remove the cloth around 9-9:30 a.m. after the sun is high and the air is warm(er). I think we can finally stop covering the beds this weekend (Memorial Day), which is the traditional planting day for this region. I jumped the gun. We are also experimenting with mulch this year. At the farm where I volunteer most everything is started in greenhouses and transplanted with fertilizer, compost, and leaf mulch on top. 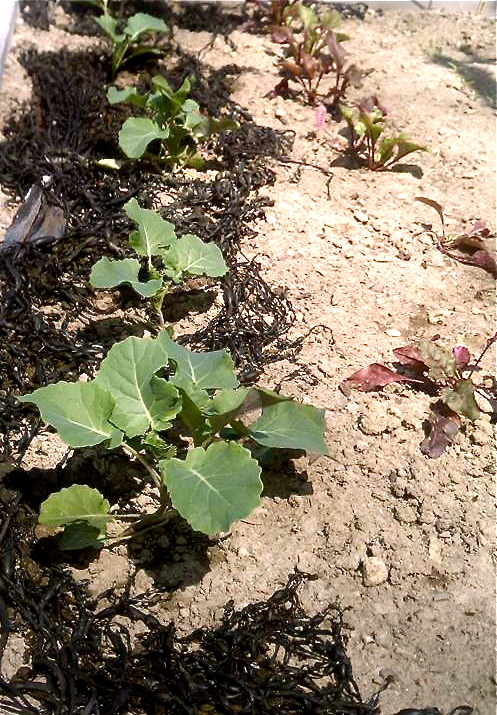 We used a composted seaweed mulch last year, but I figured seaweed is abundant enough around here, so I brought some home fresh from the beach and managed to cover one row of brassica. You have to wash the salt off first, and then it dries pretty quickly. These starts have grown quite a bit in the past week. I don’t know if it’s the seaweed or the gorgeous weather, though. Another kind of mulch we have in abundance is composted leaf mulch mixed with a healthy helping of hay and hen poop. 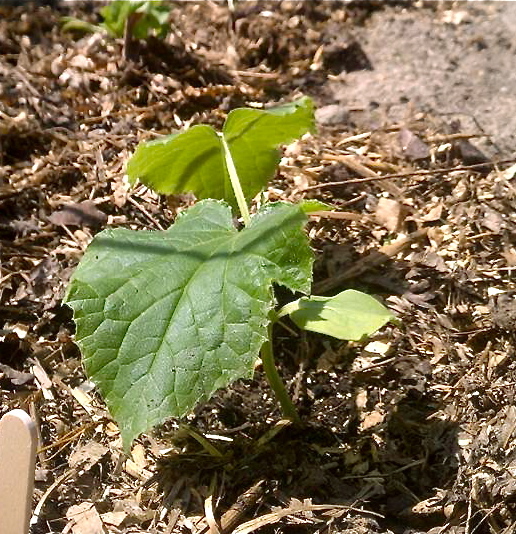 Sorry, I couldn’t think of a word for poop that starts with ‘h.’ I spread this around our shrubs, apple trees, raspberry bushes, and some of the new seedlings, like this cucumber start. It looks pretty from far away and should help retain moisture in the soil, but since the chickens spend most of their precious little free-range time in the compost pile, they now think the entire yard is the compost pile. I left them alone for a few minutes to clean the coop this afternoon only to return to my artfully flung mulch scattered around the yard in less decorative piles. Nate is experimenting with a kind of permaculture planting called “hugelkultur” this year. In theory it ends up looking like a cute Hobbit hill elegantly covered in rich flora, but which is really some rotten logs piled high with compost and dirt. So it’s not pretty, but it does appear to be working. 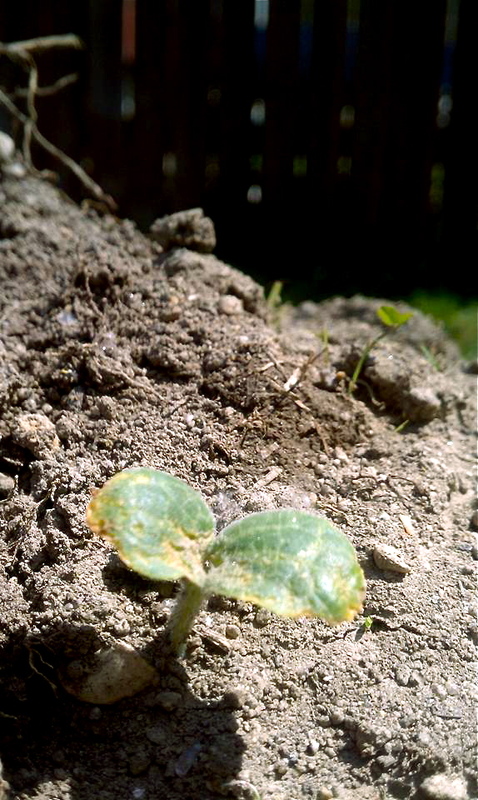 This is a little summer squash start that popped up the other day. There are some zucchini and potatoes lying dormant at the moment, and the top is planted with watermelon, so we’ll see what happens. The vines may create a natural sculpture we could never have imagined, or else we’ll be untangling the biggest snarl ever. 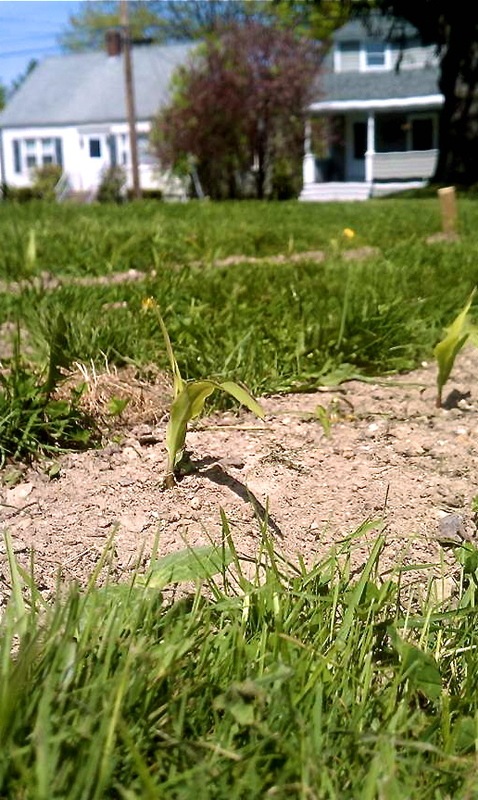 Finally, we planted corn. This is our first attempt at planting in the ground here. We never had the soil tested, so I was wary, plus it was quite an effort to dig all these rows, but the corn was the one of the first seeds to germinate. This is saying something since many little hands helped plant it. I also planted sunflowers at the end of the rows. 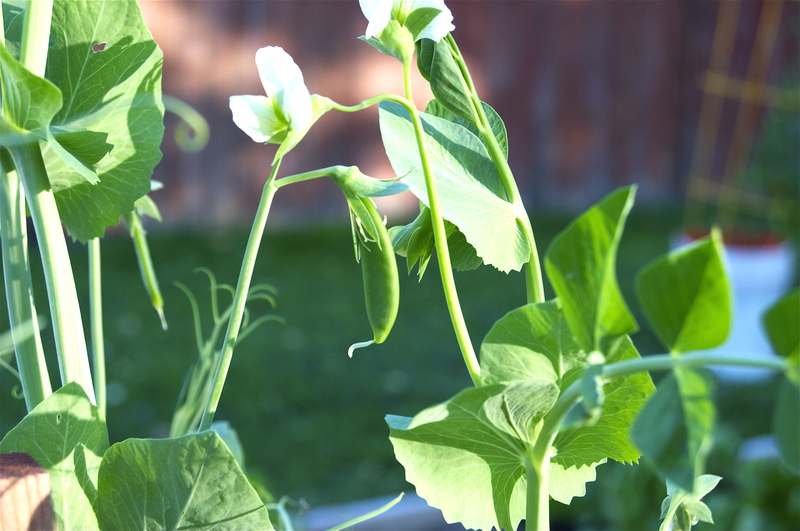 We have four rows about six feet long with seeds planted every six inches. With any luck come late summer we could have quite the maze on our front lawn behind our fledgling apple trees (which have blossoms!). Now if only the chickens were weedetarians. Posted on May 19, 2015 by Skye	• Bookmark the permalink.